“The broad outlines of this story have been known since the 1980s, when precipitous declines of salmon in many of our Atlantic river systems were traced to increased acidification of surface waters associated with acid rain. That should have raised alarm bells about forests. Declining salmon and increased water acidity are the equivalent of bad blood tests for watersheds. Something was wrong in the forested uplands that fed those rivers.” There still is. (Op-ed in the Chronicle Herald, May 7, 2016). With the WestFor mowing machine released to make it’s way through SW Nova Scotia, our “last great wood basket“, on Oct 1, 2018, local residents are losing a lot of sleep both from the sound of heavy equipment going by night and day and through worry about loss of habitat and the fate of clearcut refugees. In their efforts to understand the rationale (or lack thereof) for these harvests, some have recently begun to look at nutrient issues, citing a 2011 thesis by J. Noseworthy. In my not-so-humble-opinion on this issue, nutrient decline/soil acidification combined with ongoing forest harvesting is the most serious threat we have to biodiversity – both aquatic and terrestrial – and to the longer term productivity of our forests, especially in SW Nova Scotia. It also the most thoroughly documented issue affecting our forests – first by aquatic scientists and more recently by NSDNR and UNB scientists. Yet it is the least acknowledged or highlighted issue affecting our forests by NSDNR/L&F, e.g. there is no mention of it in the most recent State of the Forest Report, and one can search far and wide on the NSDNR/L&F website without finding any mention of it. 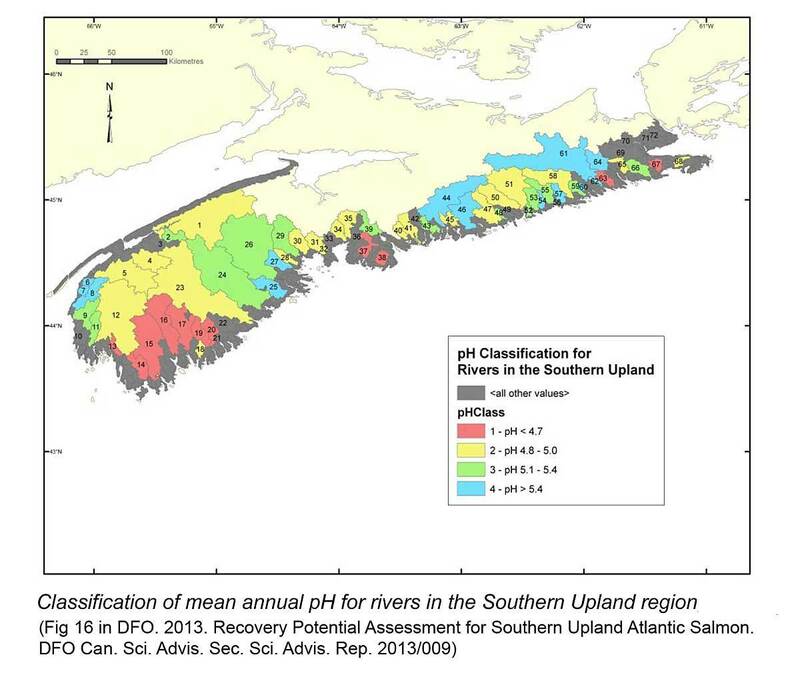 It is perhaps another Inconvenient Truth about Southwest Nova Scotia that the area has some of the most acidified surface waters in North America, a result of of (i) naturally infertile soils/bedrock – indeed they are amongst if not the poorest forest soils in NA; and (ii) acid rain, which severely depleted the base cations (especially calcium) from forest soils, the cations needed to neutralize acid rain. Unlike most other areas in north eastern NA, the landscapes of SW Nova Scotia have not recovered or have been very slow to recover from acid rain following the introduction of emission reductions in the 1990s. * As revealed in Josh Noseworthy’s 2011 MSc thesis (kept well out-of-sight by NSDNR) and confirmed by NSDNR soil scientist Kevin keys & Co. in a peer-reviewed science paper in 2016, low base saturation/soil acidification/nutrient depletion is exacerbated by clearcutting. I guess one reason that the topic has not received more public attention is that it is a somewhat “hidden” issue – its hard to see it on the ground (although naturalists might recognize some of the signs) and it involves some soil chemistry which is not something people are generally up to scratch on. One might also ask “if the soils are so poor, why are there some magnificent forests on those soils?”. The answer to that question is yes, there are, but like tropical rain forests developed on nutrient-poor soils, they depend on tight cycling of nutrients in the plant soil-system and they cannot be repeatedly harvested without penalty; productivity will decline quickly, especially in our high rainfall region. The question remains: with all of the clear scientific evidence that low base saturation/soil acidification/nutrient depletion/ is an issue that needs to be addressed in relation to the approval (or not) of forest harvests on Crown land, why is this issue still not being addressed in the protocols for approving those harvests? The reply I have had from NSDNR/L&F soil scientist Kevin Keys who has done excellent, peer-reviewed research on this topic, is that their Forest Nutrient Budget Model is simply not yet refined enough to apply it, and that it would be irresponsible to apply it at this stage, even, apparently, in a precautionary way. We are already paying penalties in the aquatic realm. For forests, we can foresee declining growth rates, more disease and insect damage, and loss of species. These reduced forests may still be suitable for biomass harvests or as feedstocks for making plastics, and under the present mindset will be harvested until finally they do not re-grow at all. I have heard already remarks such as “some of my clearcut stands are not re-growing properly”. In addition, high blueberry demand is driving conversion of more forest land to blueberries, a final, essentially irreversible step in conversion of forest to barrens. Many of us thought that the firm conclusions of the Lahey Report regarding the changes in direction needed at NSDNR/L&F following on equally firm recommendations from the Natural Resources Strategy (201o) would lead to those changes before WestFor would be allowed to resume regular harvesting in SW Nova Scotia and that when such harvesting did resume, it would be conducted within the Triad model – a compromise model (there is no winner takes all). That has not happened, and we have no guarantees it will happen after the Year of Grace L&F felt it necessary to give to WestFor. 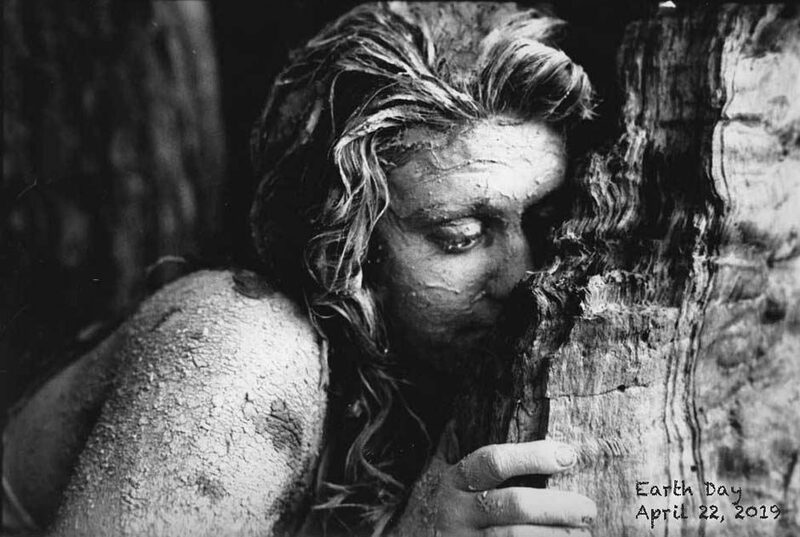 So in the meantime we have yet another year (and perhaps more) of public back and forth between ‘the two sides’, heaven knows what in the backrooms of power, and unrest in the forest communities, both natural and human. From a nutrient sustainability perspective, salvage harvesting on the site type investigated can be considered similar to conventional clearcut harvesting in that the main concern is total nutrient removal over time (Keys et al., 2016), and harvest removals should not exceed cumulative inputs from soil weathering and atmospheric de-position (especially for Ca and N). Therefore, it may be important to retain some residual coarse woody debris after salvage harvesting to avoid potential future nutrient deficits. That statement assumes that maintenance of current nutrient levels is the criterion for sustainability from a nutrient perspective. However, for soils in which the % Base Saturation levels are very low (<15-20%), such an approach would not contribute to longer term recovery of those soils, which could take many decades even in the absence of harvesting. The Keys et al. 2016 study showed very low %BS values (5-10%) over a large part of the NS landscape, and notably over most of SW Nova Scotia where new harvesting operations are focussed. It is those low % Base Saturation levels that are the big threat to both aquatic and terrestrial biodiversity and to longer term productivity/carbon storage, a condition that is perpetuated by continued moderately intensive to intensive harvesting, i.e. any form of even-aged management. 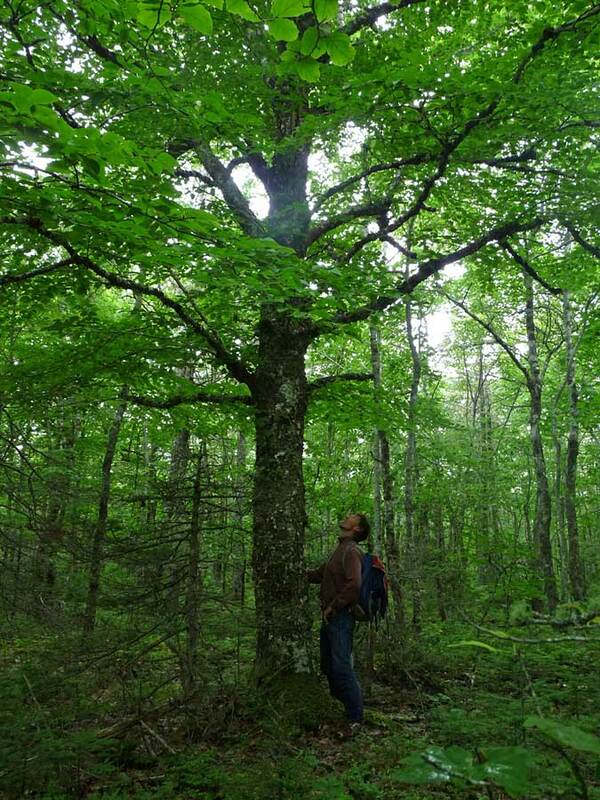 As Bob Bancroft has often said, “Our Forests need a Rest” – especially on those nutrient-depleted landscapes of SW Nova Scotia. This entry was posted in Ind Rev Post-Report, L&F, NSDNR, Show Us the Science, Watersheds, WestFor. Bookmark the permalink.